Lori Pitten Jenkins took one of the top awards at Halifax Art Festival in Daytona Beach this past weekend. 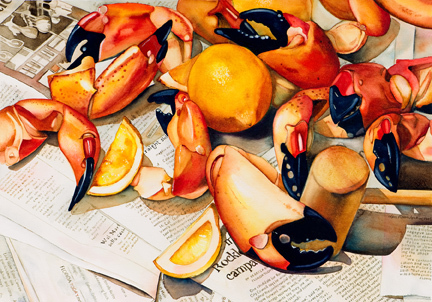 Her watercolor painting "Black, White, & Read All Over" was given the $1000 "Award of Distinction". Lori is a member of Fifth Avenue Art Gallery located in the Eau Gallie Arts District of Melbourne.